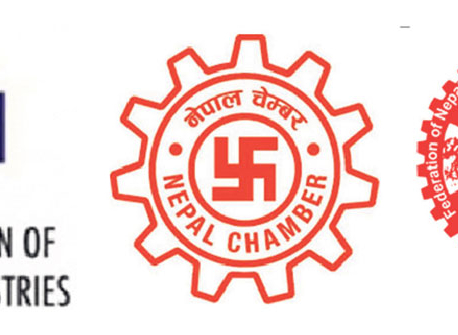 KATHMANDU, Jan 16: Nepal Chamber of Commerce (NCC) and Trade Promotion Council of India (TPCI) signed a Memorandum of Understanding (MoU) to promote bilateral trade, commerce and investment, on Wednesday. Amid a function, the two sides signed the MoU in the Indian Capital New Delhi. The two sides were agreed to exchange information related to trade, commerce and investment between the two countries, according to a press release issued by NCC Director Hari Prakash Chand on Wednesday. The MoU states that the two sides were agreed to exchange of visits between the business delegations, jointly organize international seminars and bring joint publications in order to work effectively to promote the 'trade mission'. The NCC has already signed similar agreements with business organizations from 66 countries aimed at expanding international trade and its multi-national relations, the press release stated.